Like many education initiatives, the concept of EdCamp was formed when a group of passionate educators attended an unconference in Philadelphia in 2009, and were excited at the prospect of sharing it with their peers. 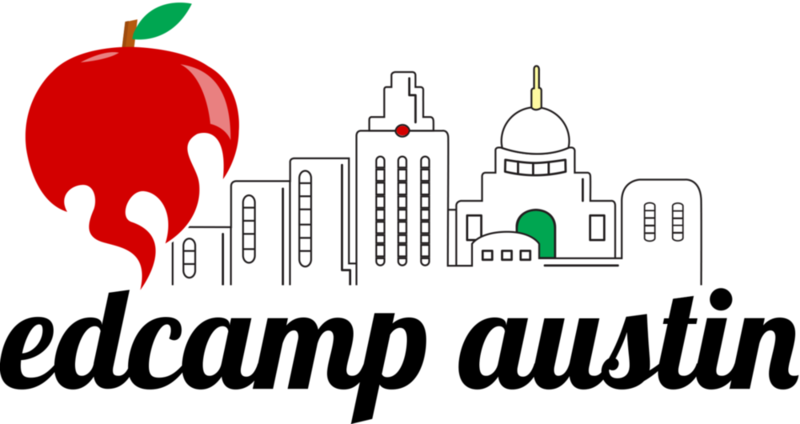 In May 2010, they started EdCamp Philly and its success reverberated through the United States, eventually serving as a model for more than 130 EdCamps worldwide. A month after the first EdCamp, the members founded the EdCamp Foundation, a 501(c)(3) non-profit corporation, to provide organizational and financial assistance to EdCamp organizing teams, promote their events, and help ensure the EdCamp model is implemented with fidelity. Over the past few years, they have helped to connect organizers with sponsors, provide assistance with educators travelling long distances to attend EdCamps, and more. Today, it's a grassroots phenomenon that engages progressive educators to connect and share new practices, technologies, and methodologies relevant to their peers, serving a model for localization of educational standards and the efficacy of empowering educators. I originally learned of EdCamp when I spoke to Justin Aglio and Norton Gusky, the principal of the Environmental Charter School in Pittsburgh and vice-president of the Neighborhood Learning Alliance respectively, two organizers of EdCamp Pittsburgh who spoke highly of the program. I decided to register for EdCamp Austin. Not only is the program free, it's well organized and I received multiple emails confirming my ticket, a reminder, and additional information on the location. I was instructed to bring ideas, media, or books to share and perhaps facilitate sessions, and a phone, tablet, or computer to take notes on. The check-in was scheduled for 8:30 am, followed by a welcome and brainstorming session at 9. The rest of the day was devoted to sessions with a small break for lunch around noon. The day was scheduled to end with a raffle with prizes from sponsors. I arrived a bit before check-in to find Stephanie Cerda and Adam Holman, the main organizers, setting up breakfast and other materials in the cafeteria. We had a quick chat, and they mentioned that some participants were visiting from out of state to attend the particular EdCamp. People start to slowly file in and grab some breakfast and sit down to chat. Three middle school math teachers sit down next to me and we strike up a conversation regarding their routine and recent issues. One teacher was trying to increase parent involvement while another was having trouble teaching the abstract concepts in geometry. Amidst this discussion, we were given two different colored flashcards and asked to write topics we wanted to learn from on one color and topics we felt comfortable leading sessions on the other. These flashcards were then collected and organized into sessions with the relevant lessons that participants were interested in. It was impressive to see the fragments of a conference assemble themselves neatly, belying the gritty and personalized nature of its contents. There were four time slots, each with 7-8 different sessions that participants could choose from based on their interest. I walked into the classroom where they were holding the session on Student Collaboration. The session leader was a teacher who was implementing an online note-taking initiative where students in the classroom took turns acting as the designated note-taker and were additionally responsible to add relevant media like games, videos, or photos relevant to the subject or lesson. There was a discussion regarding the merits of relevance and engagement over knowledge transfer. One of the participants was the founder of a local startup called BookAround, a site where children could record short video reviews of books they had read to share with their friends. It was the first time I recognized the diversity of people that participated at EdCamp, making it more organic and inclusive than simply a conference for teachers. The second session addressed Differentiation in the Classroom and was led by Sean Duffy, the founder of EdTech in Austin. This was an important session because it dealt with how teachers addressed the issue of students that excel and struggle in the same classroom. Teachers shared their varied experiences, and there was a divergence of opinion regarding usage of technology in the classroom and where to target the attention, to cater to the average and allow for students to catch up or maintaining high standards. This session demonstrated that standards vary dramatically based on teachers, grade, subject, and school. After this session, the troupe of educators broke up for lunch. I sat down with Sean and a few others to discuss the variation in charter schools, organizing change in public education, and more. MathMonsters, a Pokemon-esque game developed to teach Kindergartners basic math skills. After lunch I proceeded to my third session, Games and Education. Unlike the previous sessions where a leader facilitated most of the conversation, this session diverted into teachers sharing the best online games for their classroom. One remarkable facet of EdCamp was how well they promoted the use of technology, especially Twitter to connect participants. During this session, all participants tweeted their suggestions along with #EdCampATX where even the participants in other sessions could follow along and join the online discussion and add their input. One notable mention from this session was Jeffrey Biles, the developer of MathMonsters, a Pokemon-esque game for Kindergarteners. Finally, my last session was on Formative Assessment, led by the 6th grade science teacher Kelly Grieve who shared some intuitive methods she's developed of to engage her students and approach science education through discussion. Her approach was juxtaposed by Cathy "MathyCathy" Yenca, a local legend in the math teacher community, who shared many online tools to gauge students’ abilities and tailor lessons to address their deficiencies. Finally, we delved into an interesting topic of formative assessment to gauge interest versus knowledge, and context of sciences versus more subjective topics. After the last session, everyone congregated in the cafeteria once more for closing remarks and a raffle for some sponsor-donated items. I thanked Stephanie Cerda and Adam Holman on an amazing day before heading out. The concept and execution of an event like this was astounding, and should stand as a model for other educators and policy-makers to localize the system of education and allow regions to develop their own standards, instead of the current model of blanket standardization. In addition, the necessary professional development for teachers differs greatly depending on the context of their grade, region, class etc., and they should be allotted the resources to personalize their own learning that allows them to best cater to their students and issues. Finally, EdCamp may seem like a forum for educators, but they welcome anyone willing to attend and share their insights or share their ideas. If you don't want to attend, support the EdCamp Foundation by donating to their cause or sharing it with interested members in your community. The education system isn't going to shift through a singular, sweeping policy, but through the collaboration of communities working to create, improve, and share new ideas.